And the prize for Most Unexpected Sorta-Almost-Masterpiece goes to Aaron Conley and Damon Gentry. 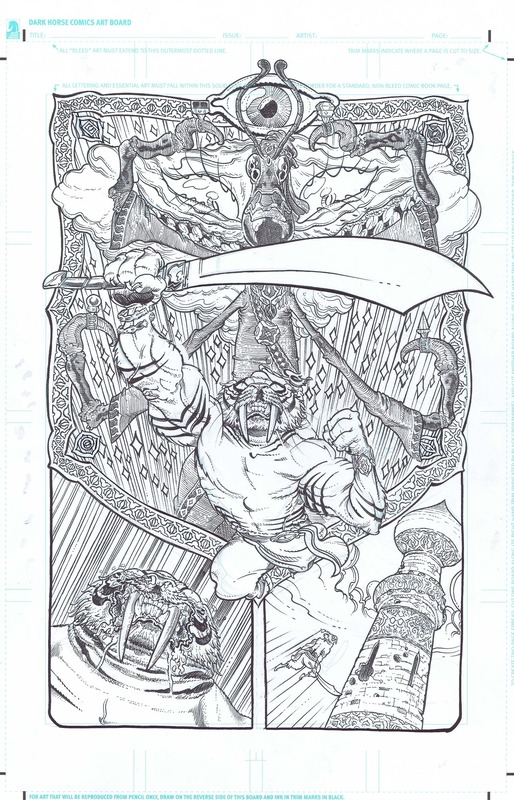 SABERTOOTH SWORDSMAN is a video-game-like web comic and now graphic novel about a wimp with a kidnapped wife who is granted tiger-form and masterful swordsmanship by the Cloud God. He has to fight, slash, scratch and claw through all kinds of crazy situations to get to the Malevolent Mastodon Mathematician, who is basically the level boss. Also, there’s a plague that’s turning everyone into monsters, and the Mathematician has magic rings that can… heal people? I think?